We are getting pretty good at making scrumptious meals with whatever is leftover in the fridge. Tonight was no exception. 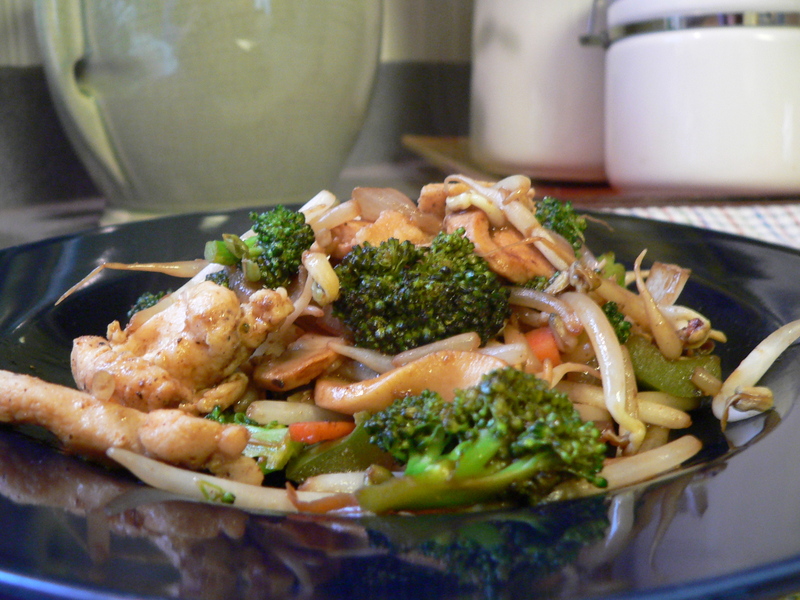 Jon whipped up a spontaneous, spicy stir fry that had me going back for seconds- a rare occasion indeed! You certainly don’t have to use our ingredients. You can literally use any veggies you have on hand and it take less than 10 minutes. Here’s what we used. Slice the chicken and sprinkled with spices. Dice the veggies. Heat the wok and then put the oil in. Allow oil to heat- it will happen quickly. Add chicken. Cook chicken until pink is gone. Remove chicken and set aside. 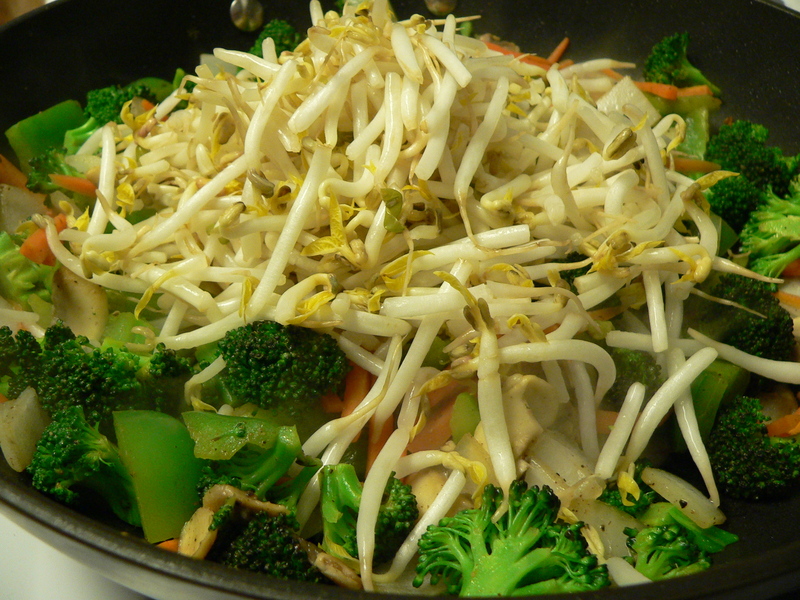 Add veggies (except bean sprouts) to wok with salt and pepper. Heat and stir until broccoli is half done. Add chicken and bean sprouts, mix well. Pour in sauce, mix. 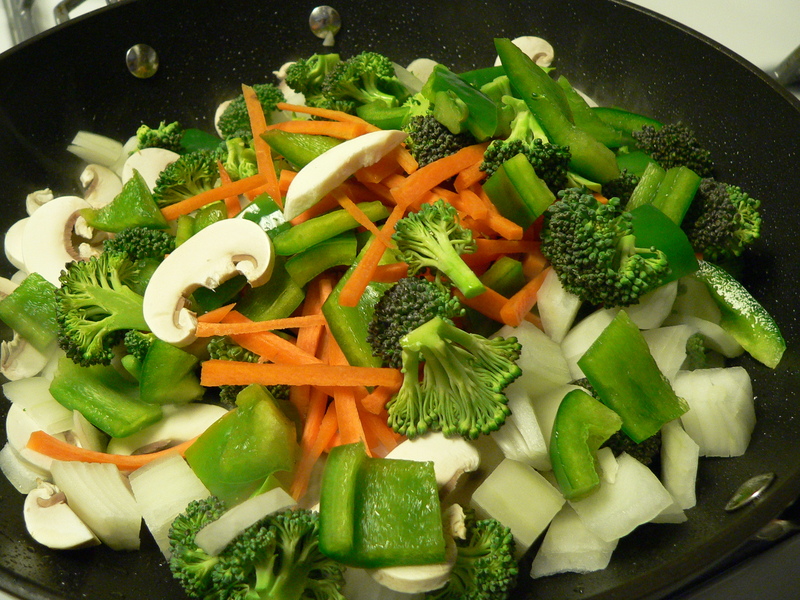 Turn to stove low, cover and cook until veggies are soft (3-5 minutes). Garnish with soy sauce and Sriracha to taste. I love your easy weekday dinner suggestions. I have been relying a lot on a crock pot lately, but need quick ideas to switch it up occassionally. I will be coming here for ideas! Thanks for sharing! Thank you! And thanks so much for stopping by my blog.